The Power-eCommerce is an All in One eCommerce Shopping Cart Solution complete ecommerce solution from the small business to large enterprises. Powerful ecommerce software that grows with you both B2C & B2B eCommerce Business, Retailers, Online Merchants. Sell easily and directly to your retail or wholesale customers. A Scalable solution that will grow to meet the needs of your business. Power-eCommerce is built to sell. Sell More All-in-one platform Power-eCommerce's includes everything you need to sell online. 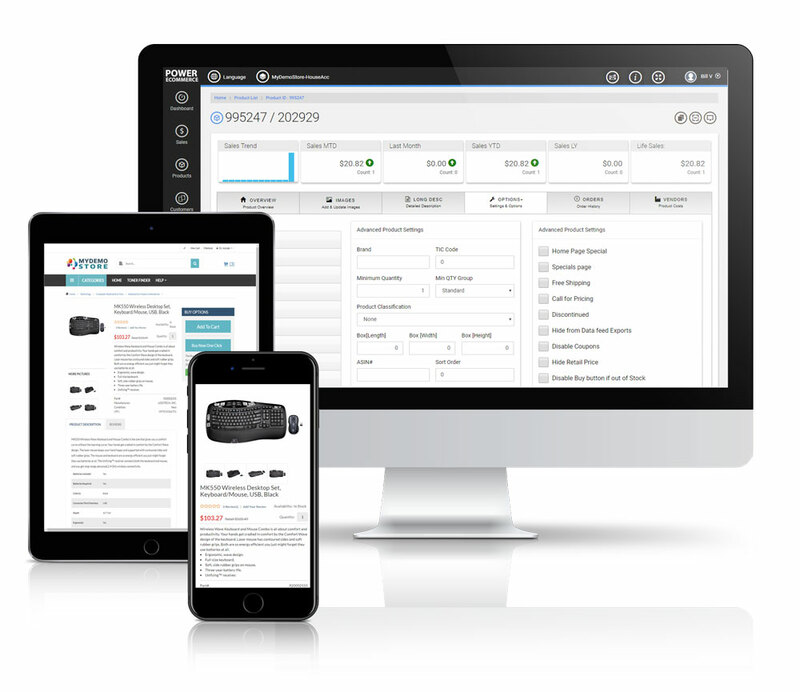 Our suite of powerful tools will enable you to manage inventory, track sales, and more. With Power-eCommerce, you can rely on speedy performance and 99.99% uptime. We host and update your software and website automatically. A Scalable solution that will grow to meet the needs of your business. A powerful tool to save you time and automate your store. Responsive and Mobile-ready site for todays business climate. 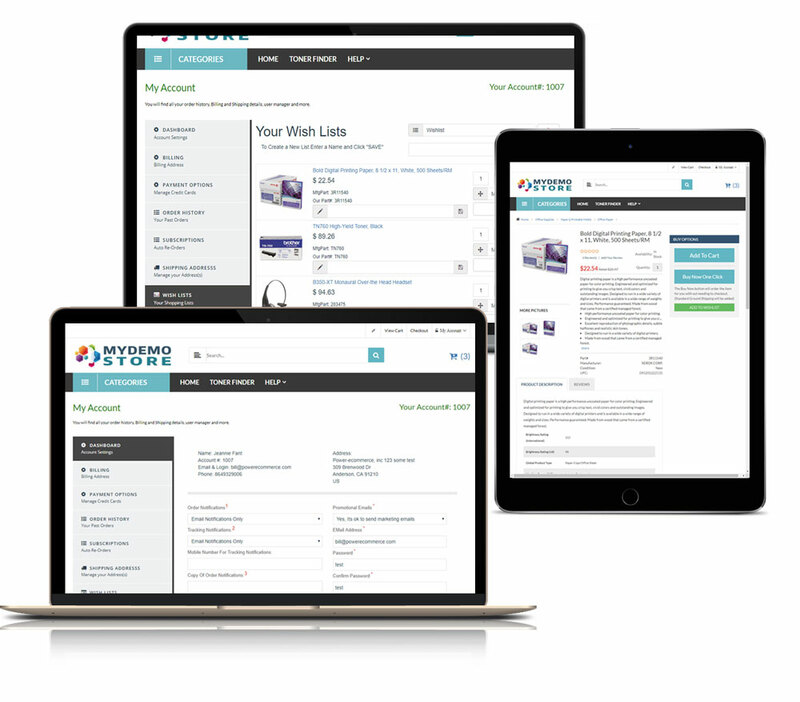 It's simply the most powerful "True" multi-vendor shopping cart. 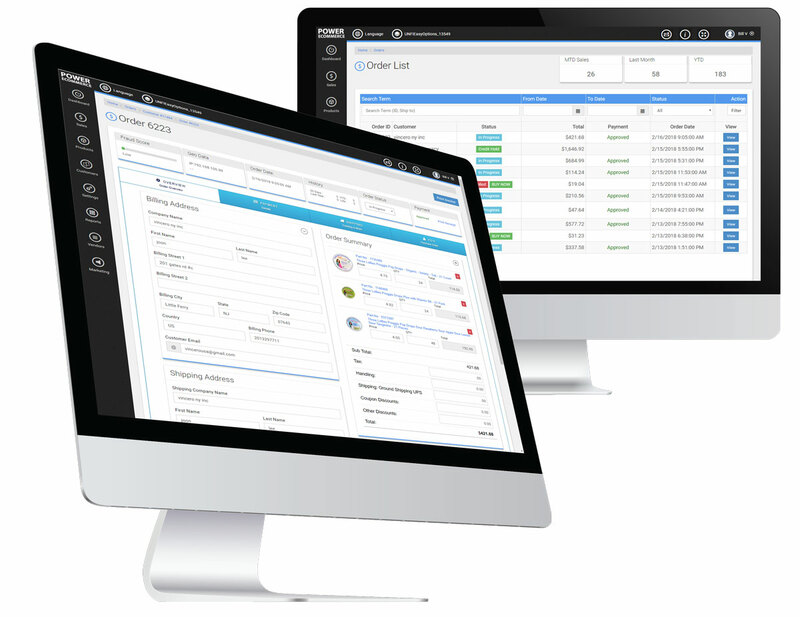 With True Multi-Vendor support and integration. 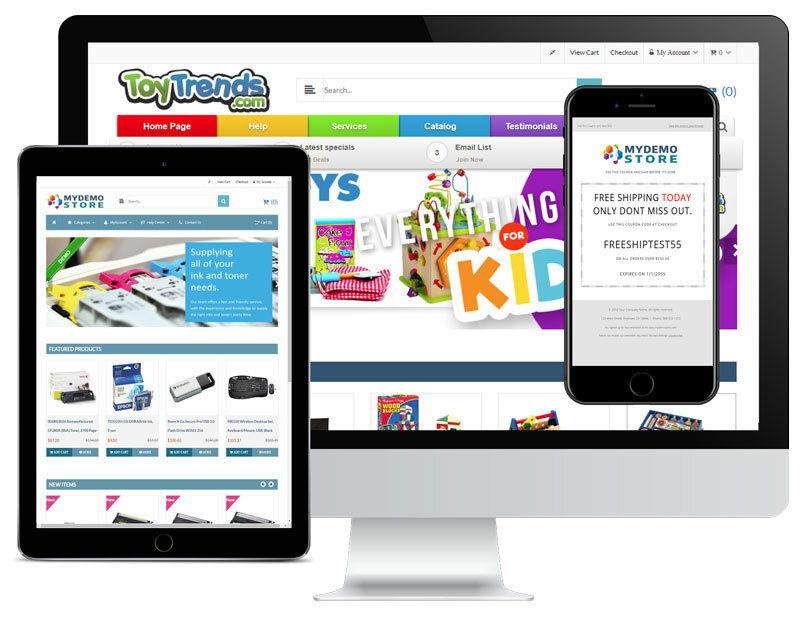 We saw our online sales jump by more than 30 percent in our first year moving to Power-eCommerce, largely due to the strength of the Power-eCommerce platform. Power-eCommerce has helped me grow my business amazingly. It's been a pleasure because everything has been easier than I ever imagined. The best part is the product integration with my suppliers, no need to update products myself anymore. We were exited the 1st month we sold over $1,000 now we sell over $200,000 a month. Thanks Power-eCommerce! My favorite thing about Power-eCommerce is that it's made me not have to worry about our store giving us the freedom to concentrate on sales growth and marketing. We have been with Power-eCommerce since 2004. At no point have we thought of changing to a different shopping cart. It has been fun and energizing to see the constant improvements over the years. Optimized for growth. The Power-eCommerce platform supports some of the largest brands in the world and some of the smallest brands too! Starting your online store using our powerful shopping cart software could not be easier. We offer frequent updates, search engine optimized and more. If you are looking to change shopping cart software platforms we will with tools to import your data. Designed to Sell. We built out shopping cart software with one thing in mind get the order no matter what. Constantly improved to stay competitive. Your business needs the latest technology; therefore, we are constantly updating the Power-eCommerce platform. You can expect monthly releases adding new functionality. 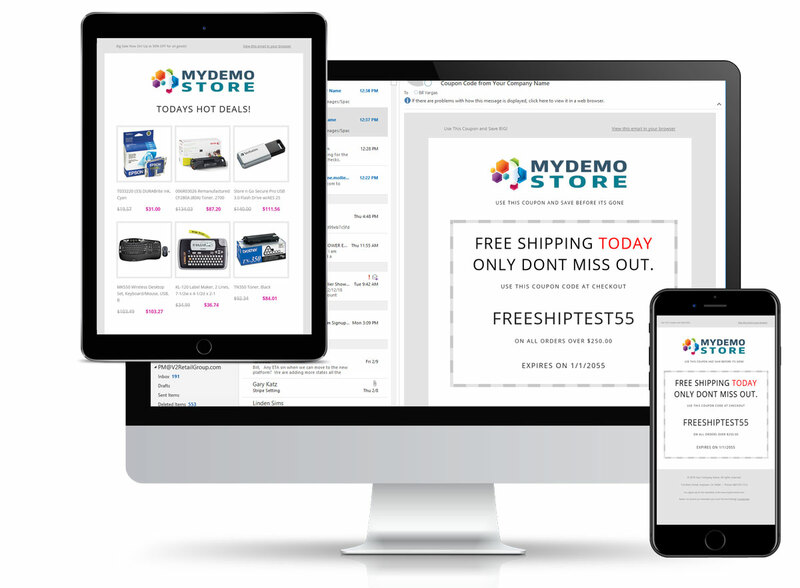 Power-eCommerce has everything you need to start your online store. From ecommerce to supplier integrations we have you covered. 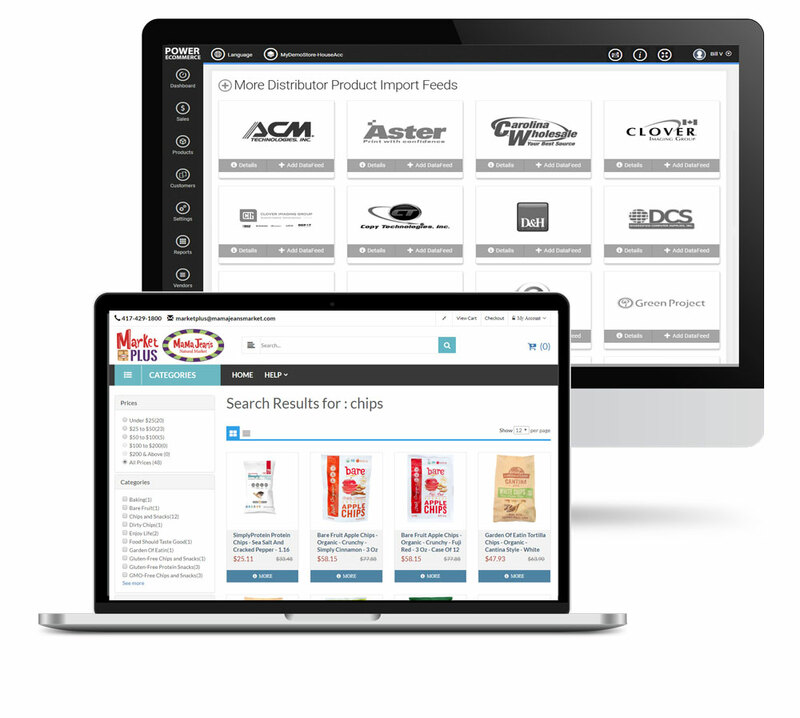 Supplier Integrations: our most powerful and used feature is our Direct Product Feeds are a direct link to a given distributors database of products for resellers. Join Our Newsletter and get the latest on Power-eCommerce and Ecommerce.